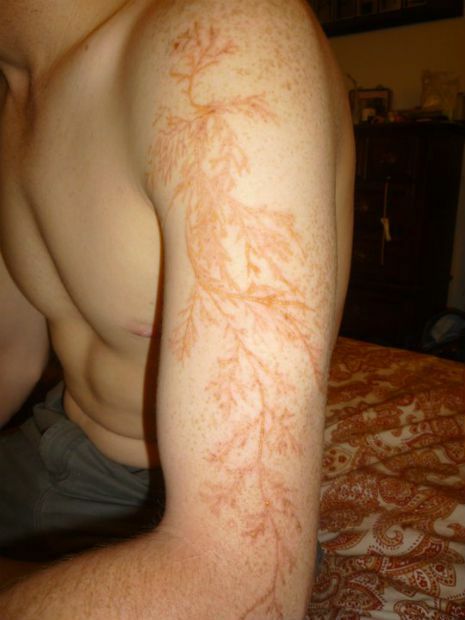 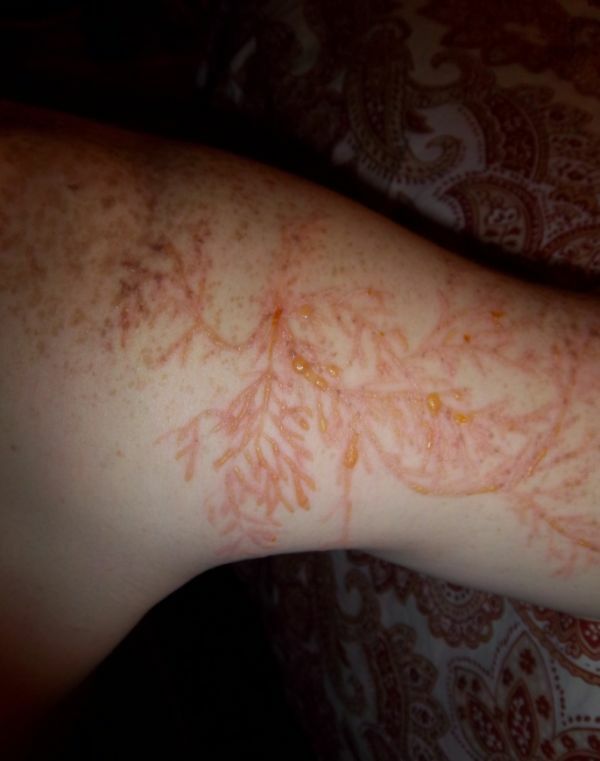 People who are struck by lightning are sometimes left with tattoo-like markings called Lichtenberg figures or lightning flowers. 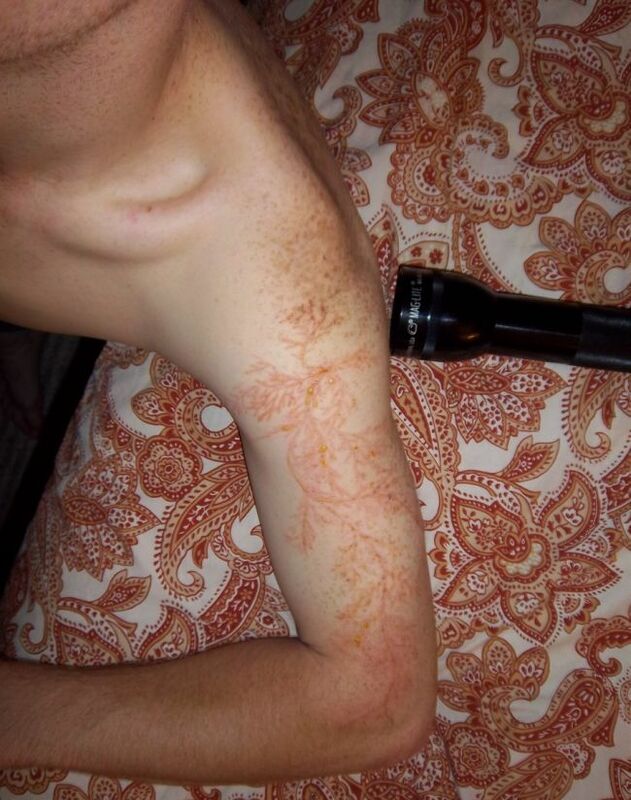 It’s been a month since Winston Kemp was struck by lightning, but the pattern of the electrical discharge is still visible on his skin. 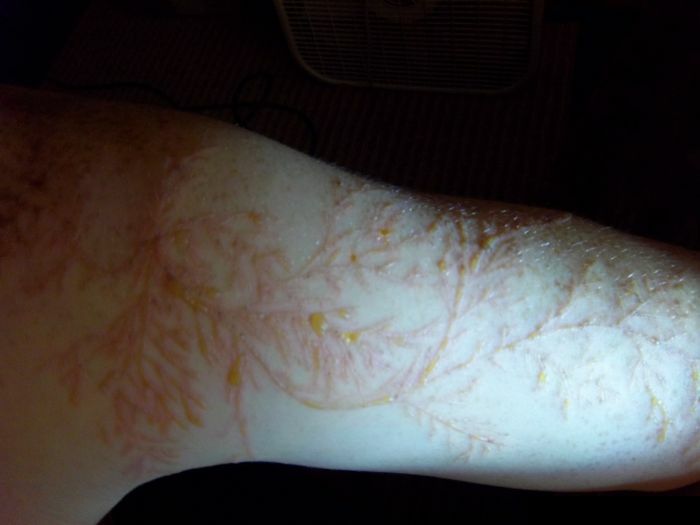 Kemp didn’t see a doctor at the time, but he feels fine, although he thinks that his skin will keep this awesome scar.